It is not had to look at the beings and objects that surround you in life and realize that at some point in time they inspired some sort of creativity or drive to motivate you towards something of your own. This article written in Range Magazine – Design and Living in Jackson Hole, features Nona Yehia, Architect and Founding Partner at E/YE Designs of Jackson, Wyoming and what inspires her in her eye for design. I met Nona a few years ago at my booth at Art Fair Jackson Hole and she purchased a few ceramic pieces of mine. She writes about her inspiration that she gathers from my work and uses in her own day to day. 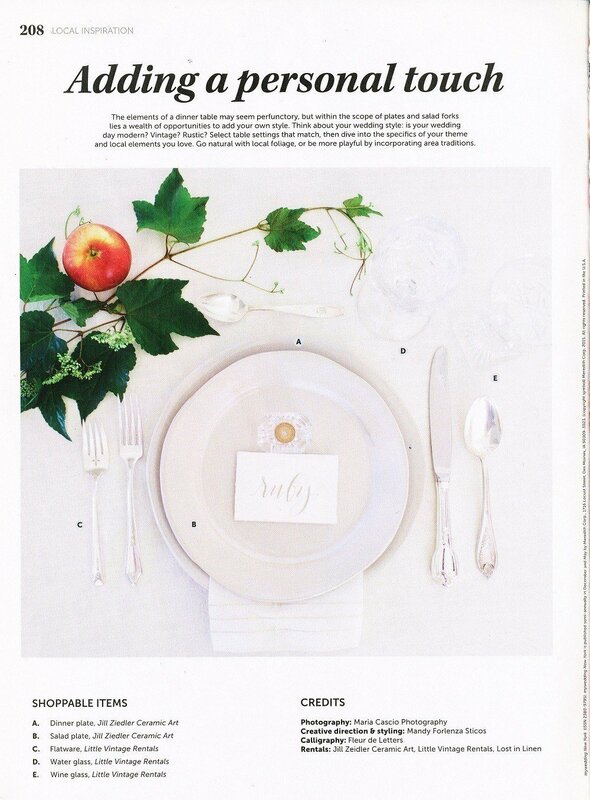 Thank you Nona for including me in your line up of inspiration! 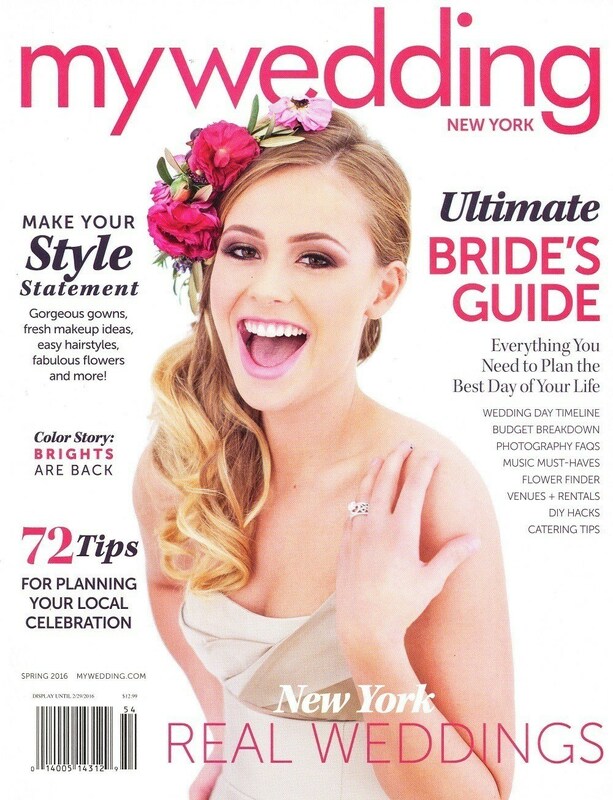 I am thrilled to have done a Q&A for this online bridal magazine. It’s a great look in to the process of how I create my dinnerware line and what it takes to have a set of your own should you be a new bride looking for uniquely handmade dinnerware! A favorite event of mine held every March is upon us! The Annual Auction for the Arts hosted by Big Sky Sothebys International Realty is an annual fundraiser for the Arts Council of Big Sky. It will be held at Big Sky’s Lone Mountain Ranch, a cozy place to settle in for an evening of live music and fine art. Many of Big Sky’s artists have donated works of art for the silent auction making it a great opportunity to take home a piece from one of your favorites. In addition to the Silent Auction, it is a real treat is to see the Quick Finish where several featured artists finish their paintings, before the live auction, while you peruse the fabulous gallery of Montana Artists and visit with other art lovers and artists represented at the auction. So get those paddles ready to do some bidding! This year I am debuting something brand new to my line of Ceramic Gourd Bowls. 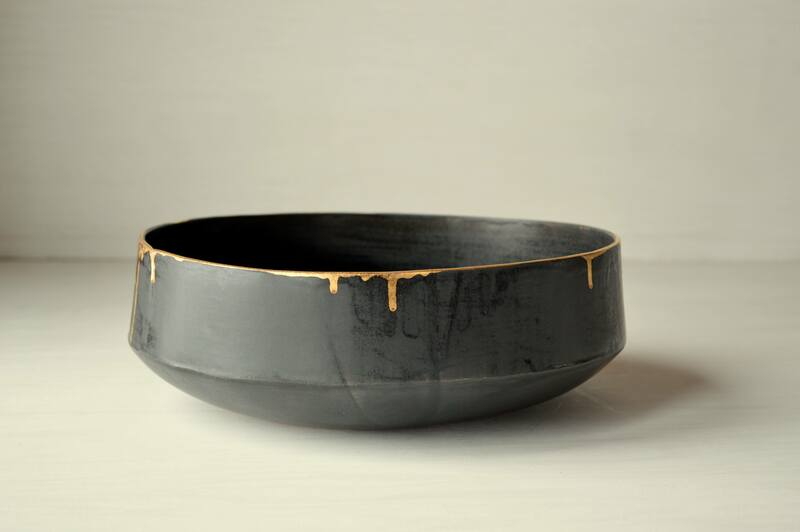 This bowl is glazed in matte black with the addition of 22 karat gold luster glaze to the lip of the bowl to add a little glitz and glam. Bring art to your table everyday! All of my stoneware dinnerware sets are custom made to order. 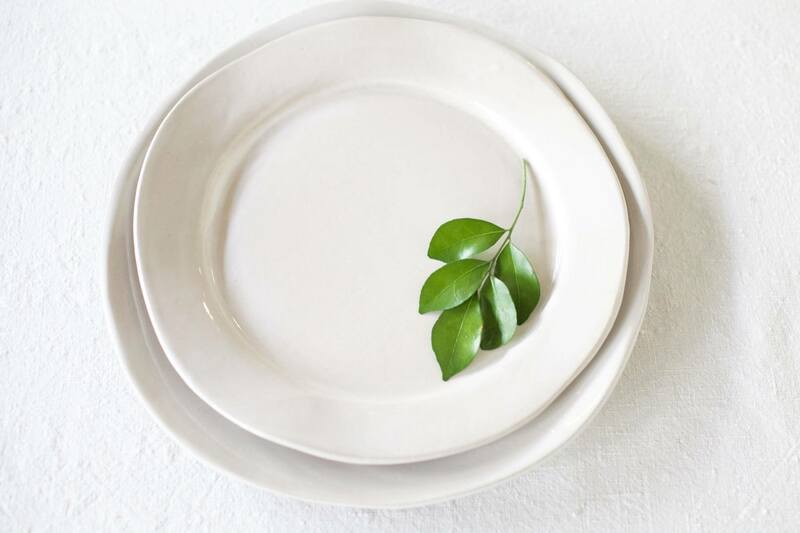 Exceptionally durable for everyday use, each piece is handcrafted to be foodsafe, dishwasher safe and microwave safe.